Scroll down for parking & walking info! Details on parking at and walking to meeting location! Click files to open. ​Covel Commons and Carnesale Commons are steps away from each other. Both are among UCLA’s newest venue, and are centrally located within convenient walking distance to core campus. 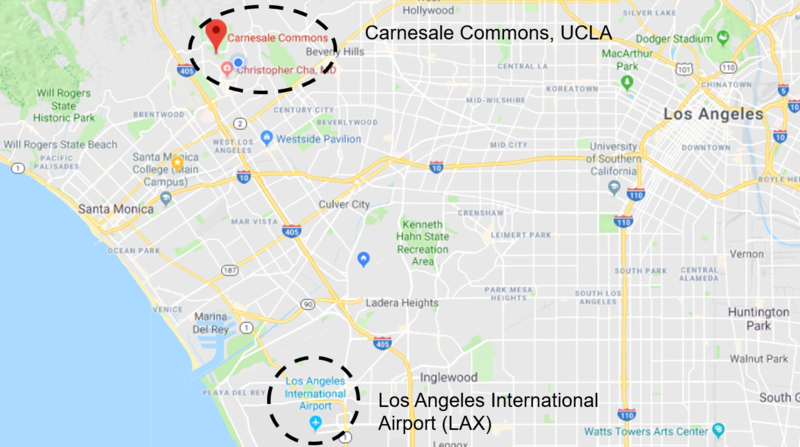 UCLA is about a 30-45 minute drive from LAX, LA’s main international airport. LA is about 2 hours north of San Diego by car or a short commuter flight. 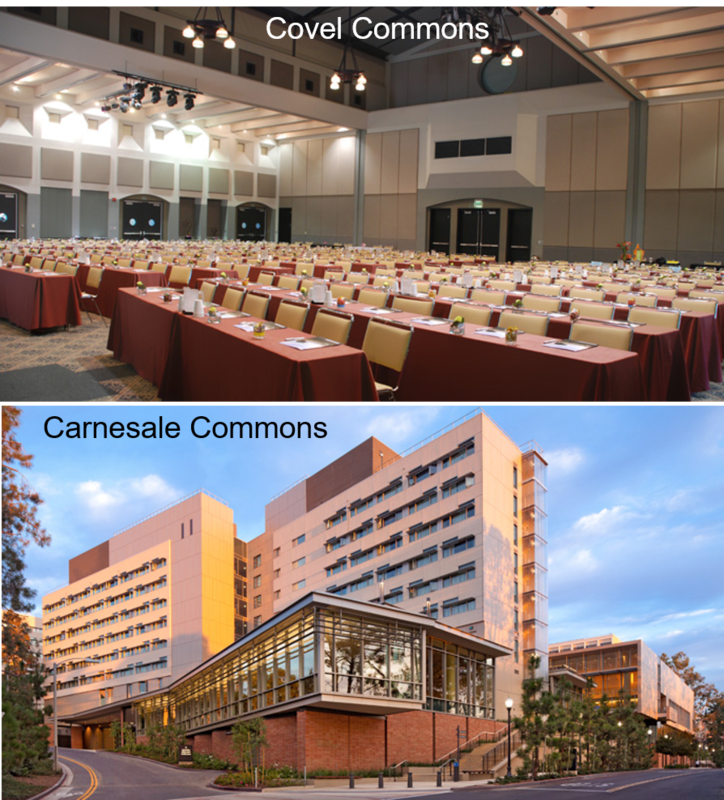 You can search for Covel Commons and Carnesale Commons to find the event site. Day 1 will be held at Covel Commons, and Days 2-3 will be held at Carnesale Commons. Registration is conducted through Brown Paper Tickets, a fair-trade ticketing company.